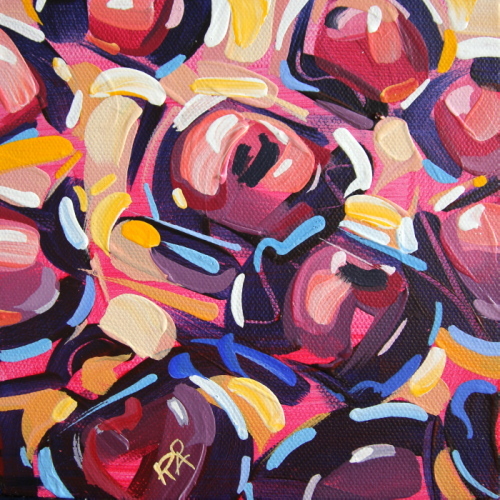 After doing a few berry paintings (autumn berries & cherries) it was time to mix things up. I wanted to do something else, but didn't know what I wanted to paint. Not sure why, but I stuck with the berries, but went more abstract with it. This is the result.